The death of Savita Halappanavar on October 28 at University Hospital Galway has put the abortion issue right back in the centre of Irish politics – not just in the southern state, but throughout the country. This is especially the case as it coincides with the opening of a Marie Stopes clinic in Belfast. The Halappanavar case is especially tragic and dramatic because the foetus was clearly unviable, she was in the throes of a miscarriage and Savita’s life was in danger. She was denied an abortion because there was still a foetal heartbeat. That heartbeat took precedence over the heartbeat, and life, of a woman. Moreover, whatever we might think about the callousness of the doctors, they were obeying the law. Legally, an abortion is only allowable if the woman’s life is in immediate danger. Abortion law on both sides of the border constitutes a major restriction on women’s rights and a major intrusion by church (both Catholic and Protestant) and state into women’s lives. The opposition of so many Unionists to the extension of the British 1967 Abortion Act to the six counties is one of the things that reveals the hollowness of Unionist claims to ‘being British’. They are ‘British’ when it suits them, and only then. The opposition of Sinn Fein to women’s right to abortion, at the same time, is indicative of the equivocal nature of the Shinners’ republicanism. Just as the Unionists are ‘British’ when it suits them and then don’t want a bar of British law when it comes to abortion, so the Shinners are republican when it suits them but then don’t want a bar of secularism when it comes to abortion. Well, in the north at least. South of the border the Shinners are opportunistically trying to put themselves in the van of the movement to ‘tidy up’ the legislation so that deaths like this won’t happen again but women will still be denied access to terminations. It’s a mark of the deeply reactionary nature of Fine Gael, Labour and Fianna Fail that southern Irish law on abortion is so tied to Catholic teaching. The idea, enshrined in the 1937 Constitution, is that women’s place in society is primarily that of wife and mother. If something goes wrong with a pregnancy, it’s the woman’s fault – some kind of sin has been committed and miscarriage is God’s punishment. . . as is death in childbirth or death in miscarriage. 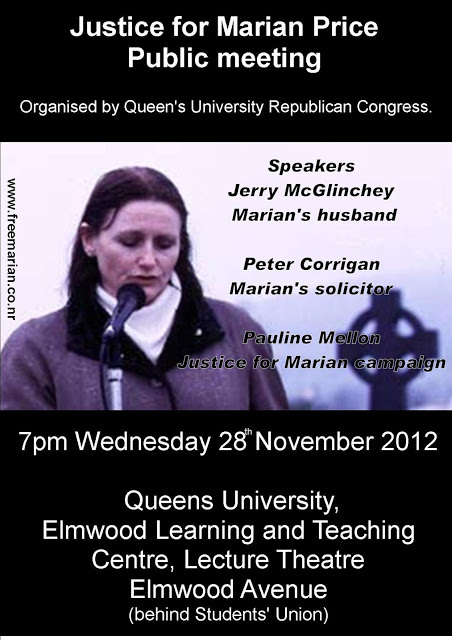 Republicanism has always been a modernising and secularising movement in Ireland. This means that it stands for the emancipation of women, an emancipation which is simply not possible as long as the church and state have more control over women’s bodies than women themselves. 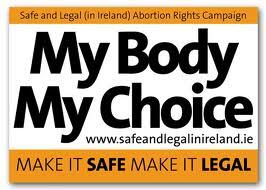 What is needed is the scrapping of all restrictions on women’s democratic right to choose to terminate a pregnancy. Abortion should be legal and free. In terms of time-limits, women seeking terminations are likely to seek them early in the pregnancy, but the option needs to be open – in other words, as early as possible, as late as necessary. 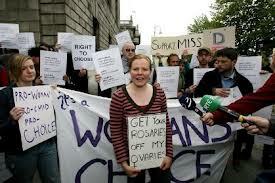 The struggle over the right to abortion is a struggle over the nature of Irish society. And that means north and south. A hundred years ago, Connolly, a strong supporter of women’s emancipation, argued that partition would lead to a “carnival of reaction” with the most backward and reactionary forces in power in both statelets. 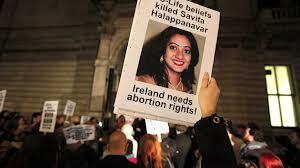 Savita Halappanavar is the latest victim of that carnival of reaction. A struggle for legal, free abortion, carried out on a 32-county basis, would be a massive blow against that carnival of reaction and for progress, secularism, freedom and equality across the whole island. It could show that the interests of the mass of Irish women are obstructed by both reactionary statelets but could be met in a free Ireland. Over a hundred years ago, Inghinidhe na hEireann, the revolutionary republican women’s group founded by Maud Gonne, put forward the idea that women’s freedom could only be achieved in a free Ireland. It’s long since time to renew that perspective. The following is a statement released earlier this week by republican prisoners in Roe 4, Maghaberry outlining their current position regarding the prison protest. Statement from POWs, Roe 4, announcing the end of their current protest action. 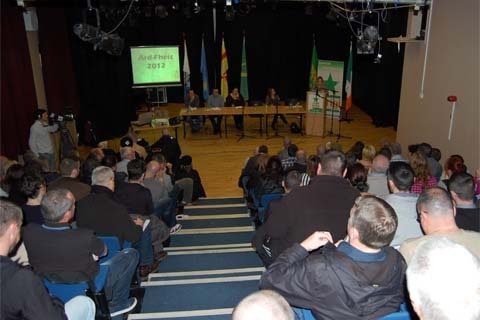 Following the signing of the August 2010 agreement with the prison service, Republican POWs continually attempted to resolve all outstanding issues. Despite the continued use of the brutal forced strip searches we regularly engaged with political parties and groups who showed an interest in bringing a resolution to the impasse. This process of dialogue lasted nine months. The amount of time and effort put into this process cannot be overstated. Unfortunately despite this lengthy engagement all we had to show were the injuries inflicted during these searches and beatings. The resumption of protest action became inevitable. 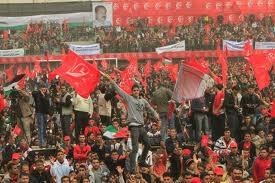 On May 6th 2011 we commenced our current phase of protest action. We are now into our 19th month of this phase of protest. Our resolve and commitment are unquestionable. As Republican POWs we are prepared to meet head on any attempt to reintroduce failed policies of the past. This should never have to be the case.